Discussion in 'General Discussion' started by Nevakonaza, Jan 29, 2013. A weird post i know,But anyone know of any Comfortable Safety boots? I bought some a while back,They started rubbing at the sides of my big toes,The work then gave me some trainer looking safety boots but even though they're an 11 (my size) its the same...rubbing near the toes,If i have a larger size they obviously don't fit right and slip up and down at the back. Its like wearing a pair of trainers. They also do a lower cut version called the 1261 model. I gave up torturing my feet with cheap safety boots years ago and just bit the bullet. We have specific ones rated to stop acid/chemical spills. Man they are uncomfortable . non steel cap but so comfy once broken in,last pair lasted me 4 years. I've got a pair of Dickies(sp) PPE Safty Boots, they look like normal Hiking/Walking boots, very comfortably, I've had them for about 3 years and they never rub, even from day one! They have Kevlar Toe Caps and Sole plates rather than Steel, making them very light compared to the steel versions!! I've used them for hiking too as they are some what waterproof (up to the top of the tongue! ), and they're still as good as new!! I've worn many different pairs of safety boots. When I worked at the mine we were provided with boots every year, I found the "rigger" style of boots didn't last long but were comfy to start with. The trainer style of boots were comfy but not as waterproof. I would opt for a pair of normal boots. These days I don't require PPE for work but I did purchase a pair of boots to work in the garage, stops my feet from getting cold. I bought a pair of safety boots from ASDA and they're surprisingly comfy, I always wear a thick pair of socks with them too. I'm sure they'll fall apart inside a year but for the price I was impressed with how comfy they were. Magnum classics. Composite safety toecap and very comfortable. Just make sure if you go for these you get the version with the toe cap rather than the non toe cap version, just thought I'd point out that not all have the toe cap. My dads worn safety boots/shoes for the last 26 odd years and always recommends DM he gets given the free ones from work which then live under the stairs because he always goes back to DM. People at work seem to swear by the Trojan branded stuff, personally, I wear Arco Chukka boots. I find them to be the most comfortable. After messing around with laces and getting cheesed off, i'd buy yourself some rigger boots. I have some offshore boots with laces and a zip down the side for quick release, cant remember the name off the top of my head but they are awesome. Had them about 3 years now and have done countless site/offshore trips with me. 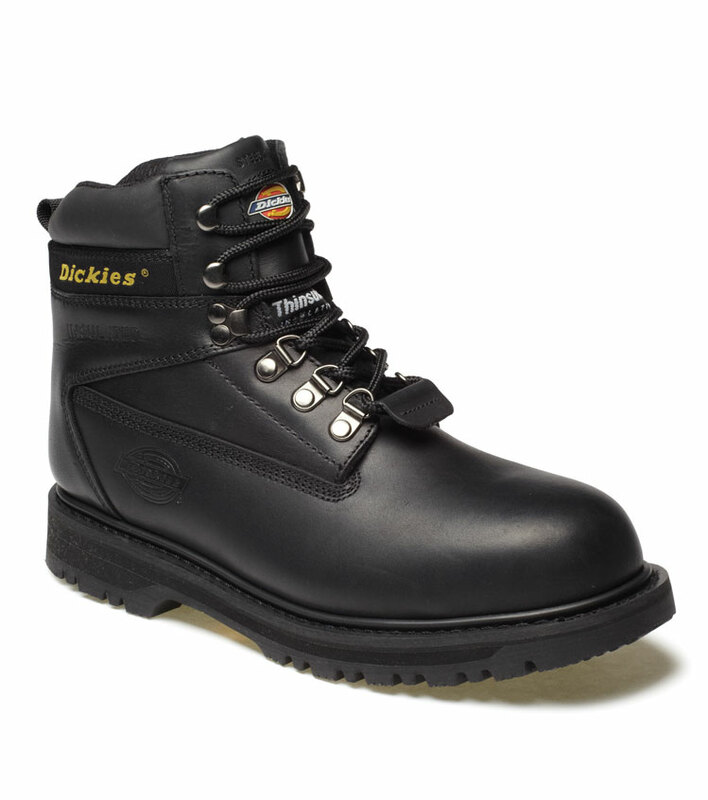 +1 got a pair of them, very comfortable, as are my Dickies(sp) PPE Safty Boots, same ones Simian has, I also got Dickies Storm Super Safety Trainer @ £28 vat free. DeWalt Apprentice boots. Can be found on eBay. Other than that you can pick up some trainer type safety boot. Not suitable for some jobs, but if you work in the wet/cold these are top notch. Got some new dickies the other day, about £45 and they seem pretty solid and are nice and comfy. They're the browny/red leather ones if you see them..
Jallete Jalaska Safety Boots, never needed anyothers . Ive tried various but always come back to the jalletes. Quick and easy to put on and also comfortable. But everyone will have personal choices.